Drawing on my extensive experience and wide network of contacts across the education sector, I work with universities, colleges and schools to provide orientation and induction events. 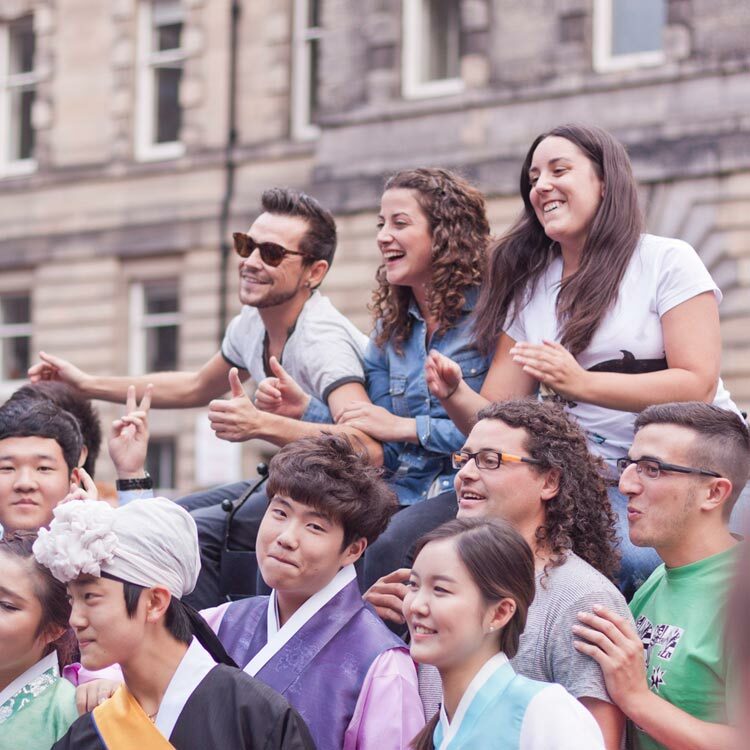 International students are drawn to Scotland by the quality and distinctive nature of our education system. Many countries, including the USA, have based their own systems on our model! Whether it’s providing a welcome tour for “Freshers” and their families or delivering an orientation visit for visitors from Confuscius Schools in China, I am happy to deliver a tailored programme in an education context. I am also able to support recruitment efforts by offering extended tours that provide potential students with an orientation visit to a variety of universities and language schools across Scotland, showing their facilities and locations to maximum impact. I was delighted when I found out about the service provided by Liz. I was looking for a tour guide for the parents of our international students arriving in September. With her experience in HE and her excellent knowledge of Edinburgh University and the city, Liz was able deliver a tour perfectly tailored to our needs. All the feedback received by the parents afterwards was really positive and the tour provided by Liz to the parents and family of our international students is now a regular part of our induction events.